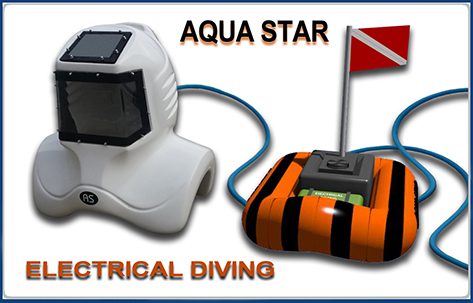 For all lovers of scuba diving, we offer a newly developed electro-diving. No longer do you need after a hard cylinders air compressor and expensive. All you need: to charge a small battery and you are ready to go down under the water to a depth of 10 meters. Ease of use will make it possible not only to enjoy the beauty of the underwater world, but also organize the rental. When organizations hire, a number of advantages over conventional diving. 1, There is no need to dress the client bulky equipment. 2. Reduce the time of instruction. 3. No need to change air tanks (to lift the unit out of the water). 4. Increased flow of customers on one device at zero cost. It's easier than it was. This affordable than it was. It will make your dream a walk in the underwater world of reality. We open the future today.